Produced by the reputed Korean tyre manufacturer Nexen, Roadstone was initially launched 15 years ago as an economy brand for the European market. In the meantime, due to its excellent price/quality ratio and effective product development strategy, Roadstone has become a well-known brand worldwide, outgrowing its more humble budget origins – and even securing several original equipment contracts with various car manufacturers. Providing numerous variants and sizes for passenger cars, SUVs, and light trucks, the brand has earned recognition for flexibility and quality – ensuring that customers enjoy safety and comfort, as well as the highest possible value for their money. If you are looking for economy and reliability, we recommend the Roadstone CP661summer tyre for small, compact, and medium cars. Also, the Roadstone N1000, N2000, N3000, and N9000 summer models deliver security and performance for compact, medium, and, respectively, performance cars. For safe winter driving, the Roadstone Eurowin provides adequate traction and stability in challenging conditions for small passenger cars. For larger vehicles, the winter tyre product line features dependable models such as the Winguard, the Winguard Sport, the Winguard SUV, and the studded Winguard 231 for extreme situations. Enjoy the Roadstone experience at affordable prices, only on mytyres.co.uk. 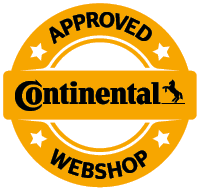 Order now two or more tyres, and we provide free shipping within the UK - and please check your vehicle’s registration certificate if you are unsure about the tire size you need before placing your order.